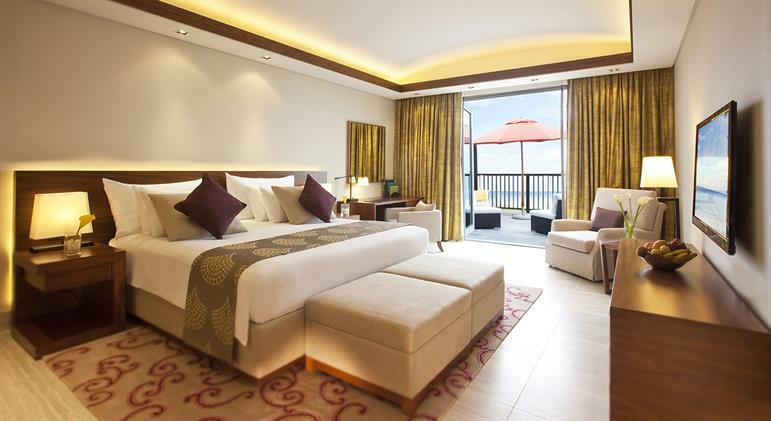 The JA Palm Tree Court Sea View Residence Junior Suite takes Dubai beachfront hotels to a new level in a dedicated villa by the sea that offers breathtaking ocean views. From complimentary babysitting services and gifts for the whole family on arrival, everything has been planned to enhance your experience in this bright and airy 54-square metre junior suite. The private balcony includes two outdoor sun chairs, table and sun umbrella.